Happy National Agriculture Day! 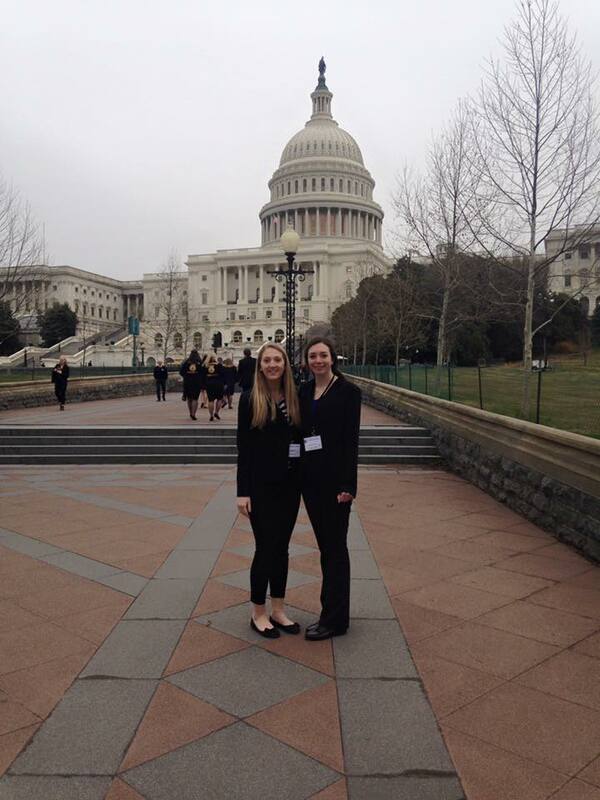 UConn CAHNR students, and Connecticut 4-H alumni Katy Davis and Katelyn Williams are in Washington DC today for National Ag Day Training – two of only 12 4-H students selected nationwide to participate. National 4-H Council is pleased to offer this agriculture leadership opportunity for college students to represent 4-H in the 2017 National Ag Day events in Washington, D.C. Students are participating in a training at the National 4-H Youth Conference Center. 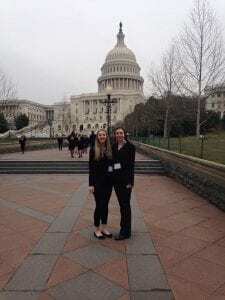 The Agriculture Council of America (ACA) sponsors 100 student representatives from across the country to participate in the training and attend the National Ag Day activities on Capitol Hill. The students—from FFA, AFA, 4-H and Student NAMA—put a face on the future of agriculture and personally emphasize the importance of agriculture in our everyday lives. This entry was posted in 4-H Youth, Agriculture, Education and tagged 4-H, National Ag Day, students, UConn 4-H, UConn Extension. 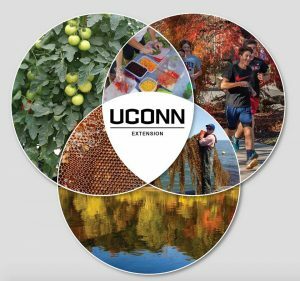 UConn Extension connects the power of UConn research to local issues by creating practical, science-based answers to complex problems. Extension provides scientific knowledge and expertise to the public in areas such as: economic viability, business and industry, community development, agriculture and natural resources. 4/24 Are you prepared for flooding and storms? Come learn with the Center for Learning in Retirement and Virginia & Bob Stiepock, facilitators. Great Decisions is a series of discussions about U.S. foreign policy deliberations and decisions. This yearâs topics are Global Migration, The Middle East, Nuclear Negotiations, Nationalism in Europe, Trade with China, Cyber Conflict, U.S and Mexico, and State of Diplomacy. Great Decisions is not lecture-based, rather, discussions are led by facilitators Virginia and Bob Stiepock. In preparation for each discussion, participants are expected to read the relevant sections of the book âGreat Decisions 2019â, which will be available for $30. The Coastal Certificate Program is offered to those who wish to familiarize themselves with current environmental issues unique to our coastal waters and Long Island Sound, while learning about ways to landscape more sustainably. 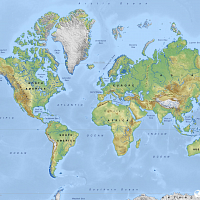 In a time when climate change is taking on increasing significance, the Coastal Certificate Program will address how and why the transition to sustainable landscapes is not just a good idea, but a global environmental imperative. 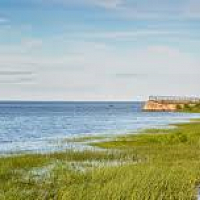 The Coastal Certificate is designed to generate ambassadors of alternatives to nutrient and chemically intensive landscaping practices for Connecticut coastal and watershed residents. The outreach component will be geared specifically to spreading the word about sustainable landscaping through projects, educational materials, and other creative ideas. In addition to covering coastal environmental issues, the Coastal Certificate program will feature speakers that address exciting ways to reduce or rethink lawns, create plant habitats that attract birds and pollinating insects, design for sustainability using native plants, and share tools and resources for effective outreach. The field trip will relate to class topics and be local to the workshop location. Participants must attend all classes and complete 10 hours of approved outreach activities to receive the Coastal Certificate. Reading resources will be provided. Those enrolled will receive 6 AMG credits upon completion. Additional dates include 4/25/2019, 4/27/2019, 4/30/2019,and 5/2/2019. Weekend Field Trip TBD (4/27 is placeholder). Are you prepared for flooding and storms? 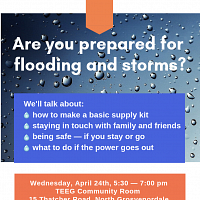 Join us for this workshop to help you be better prepared for severe weather. Light refreshments at 5:30 pm. Workshop starts at 6 pm. Pre-registration required at 860-923-3458. 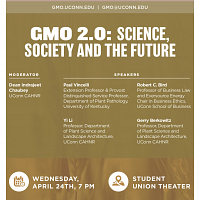 Finding understandable science-based information on GMOs is challenging for the public. Our project goal is to bridge the information gap surrounding GMOs with farmers and the general public. 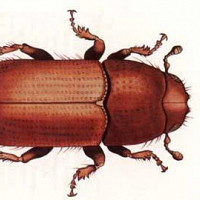 There are several new insect pests that are either already here, or on their way. Some of them have traveled from other continents, some of them are moving up from the south with the rising temperatures. In this symposium we will discuss how conditions are changing in CT and what new issues are coming along with the changes. Among the insects that will be covered are Spotted Lantern Fly and Southern Pine Beetle.